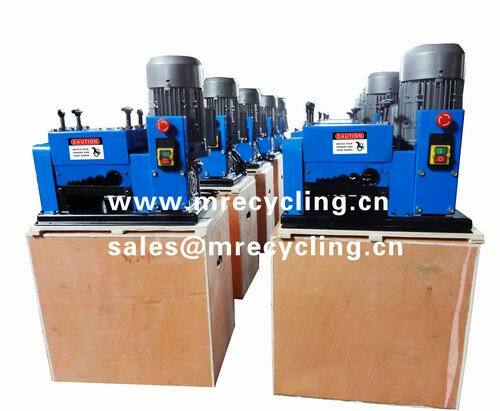 It is a machine that sits on a table or bench, and has an opening through which you feed insulated wire. It's quite simple because the stripped wire comes out the other end in a matter of seconds. Many of these pvc insulated cable peelers can handle wire up to 2 inches thick. press the setting screw tightly, adjust the knifepoint in the right place, try peeling the cable again until you reach the ideal result, then tighten the screw bolt. in order to keep the knife and main axes level).